Through networking locally, regionally and inter-nationally, we have maintained strong links with various organizations and networks to increase the impact of joint actions, especially regarding advocacy. Targeted actors include government institutions and structures that are vital for pushing for relevant policy changes. While Uganda enjoys relative peace, there are still many incidents of armed violence, especially in the urban areas. 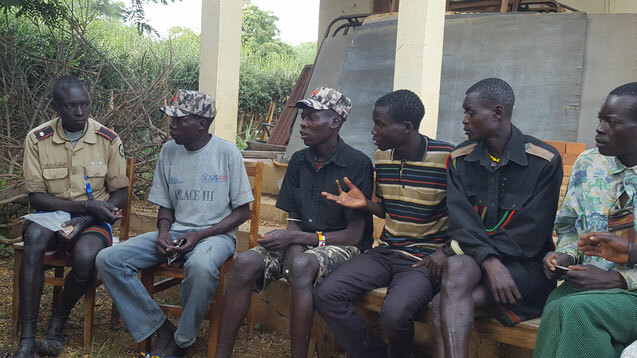 The Karamoja region of North Eastern Uganda, which was once awash with illegal guns hardly reports cases of gun violence, thanks to the disarmament programme by the government. The end of the insurgency in the Acholi area in the North has also meant a tremendous reduction in cases of gun violence. The challenge, however, still remains with some criminal elements and occasionally some legal holders of official guns misusing them. CECORE therefore joins other CSOs to advocate for the proper control and use of SALW. This is done in partnership with the National Focal Point on SALW, situated within the Ministry of Internal Affairs. It also brings on board other government departments and other agencies. The work revolves around awareness-creation about the different instruments and agreements on gun control, from the national to international level. At the national level, we engage in the reviews of the relevant Fire Arms Policies and Acts and the implementation of the Arms Trade Treaty (ATT). We have advocated for better control of fire arms, including the ones in the hands of legal owners. Through our work with the NFP, we have formed and trained focal points on SALW at district and sub-county levels on the different instruments on SALW and also on conflict transformation skills. We have also advocated that the Ugandan government accede to the Arms Trade Treaty, which has so far not been signed or ratified. At the international level, we have engaged on the UN Programme of Action on SALW and again the Arms Trade Treaty (ATT). The advocacy efforts are strengthened annually during the Global Week of Action on SALW, which is observed between May and June. To further the reach of our work and collaborate with others, we are members of the Uganda Action Network on Small Arms (UANSA), the Eastern Africa Action Network on Small Arms (EAANSA), as well as the International Action Network on Small Arms (IANSA). We have also partnered with Small Arms Survey in Geneva and previously carried out research and documentation on the proliferation of arms and armed groups in Uganda. If you are interested in connecting with us on this issue, please feel free to contact us. In order to appropriately address conflict issues, we carry out research and analysis in selected areas of conflict and on various methods of conflict resolution. We then utilize this to design suitable and tailor-made actions. 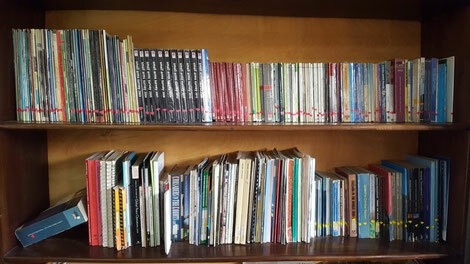 We have recently put together a resource center where academics, practitioners, civil servants and others can access materials on topics including peacebuilding, good governance, human rights, small arms and development. With support from USAID Pact, CECORE brought together media personnel and a wide range of peacebuilding practitioners to interact and undergo conflict transformation training together. We believe that any actor operating within the context of conflict has the potential to impact that conflict, whether in a positive or negative way. It is therefore imperative that such actors have a sound understanding of the conflict dynamics in order to maximize positive impacts of their activities and minimize negative ones. 1. 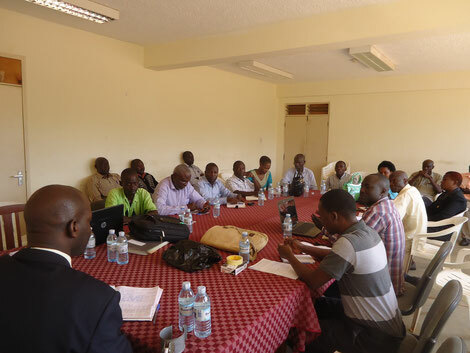 In partnership with Saferworld, CECORE recently concluded a project to make land governance more conflict sensitive in the districts of Mbale (East), Mukono (Central) and Mityana (South Central). Uganda is a country endowed with richly land, among other natural resources. However, land ownership acquisition and use have been a major cause of conflicts around the country. This project aimed at creating more awareness in the communities about their rights to own and use land, as well as to peacefully find solutions to land related conflicts. Groups of concern were: district leaders, district land boards, area land committees, affected communities, as well as other institutions such as the Uganda Wildlife Authority, National Forestry Authority and Uganda Investment Authority. 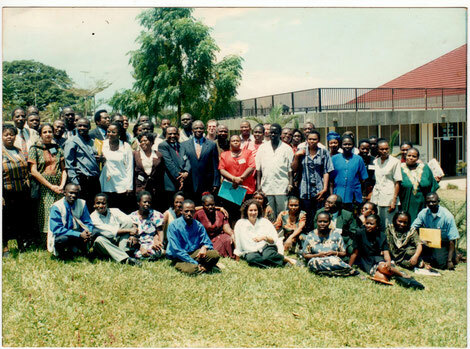 The work was supported by USAID SAFE (Supporting Access to Justice Fostering Equity and Peace). 2. Following a two-year process of research and consultations with a wide range of practitioners, a consortium of six organisations developed a resource pack on conflict sensitive approaches to development, humanitarian assistance and peacebuilding. 3. In partnership with Saferworld, one on the authors of the resource pack, CECORE engaged in a process that ensured a conflict sensitive approach to the rural electrification of Pader district in Northern Uganda, which at the time was still under insurgency by the Lord’s Resistance Army (LRA). The two partners also implemented a project on water provision in the districts of Arua, in the North West and Kasese in the West. The two projects were supported by the Swedish International Development Agency (SIDA) and the UK’s Department for International Development (DFID), respectively. The media has a vital role to play in giving information, which has the potential to either build or destroy communities. For this reason, CECORE has a strategy of engaging with the media to contribute to peacebuilding. This is done in two key ways: we make ourselves available to journalists and media houses to comment on current affairs, and we also training media personnel in ethical and conflict-sensitive reporting. We assist communities and other actors in peacebuilding, mediation and reconciliation through dialogue, training, and consultancies on conflict prevention, management, resolution and transformation.